Did the Nigerian Army just use a Trump propaganda video to justify Shi’ite killings? Late last night, American media outfit, Politico posted a video where the president of the United States of America, Donald Trump said he would advise the U.S. military to forcefully engage with anyone throwing stones and rocks at them as armed. 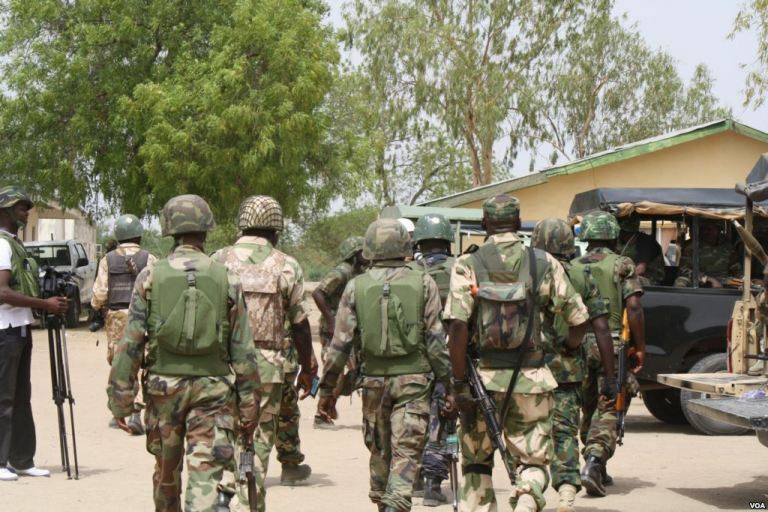 The Army’s tweet comes barely a week after some soldiers reportedly escorting a set of ammunition from Zuba, a suburb in the Federal Capital Territory to Kaduna were accosted by members of the Islamic Movement of Nigeria (IMN) popularly known as the Shi’ites who were embarking on a procession. During the altercation, the Shi’ite members reportedly pelted the soldiers with stones. In a video posted online, the soldiers disembarked from their vehicles and shot at the protesters killing three of them in the process while two soldiers were injured. A few days later, the sect during a procession in Mararaba, a border town to the nation’s Federal Capital were engaged by the Army with an unspecified number of Shi’ites killed during the clash. It is rather sad that the Nigerian Army believes shooting live bullets at protesters armed with stones is the best way to quell any unrest. It is also worrisome that the Army hierarchy thinks that Donald Trump is the perfect model to use in justifying their action. Trump, who has time and again proven to be a divisive and vindictive individual. What is most worrisome is that someone in the Army actually approved that the video should be posted online. The caption used may have been with the intent of absolving themselves of any blame on the one hand but on the other hand, the Army in a literal manner may be alluding that they did the right thing based on Trump’s seeming “endorsement and approval” of maximum force.